(i) The Fund’s support is designated on the basis of evaluation of proposals that have been properly received. Potential users of funds need to justify their interest and the need for support. 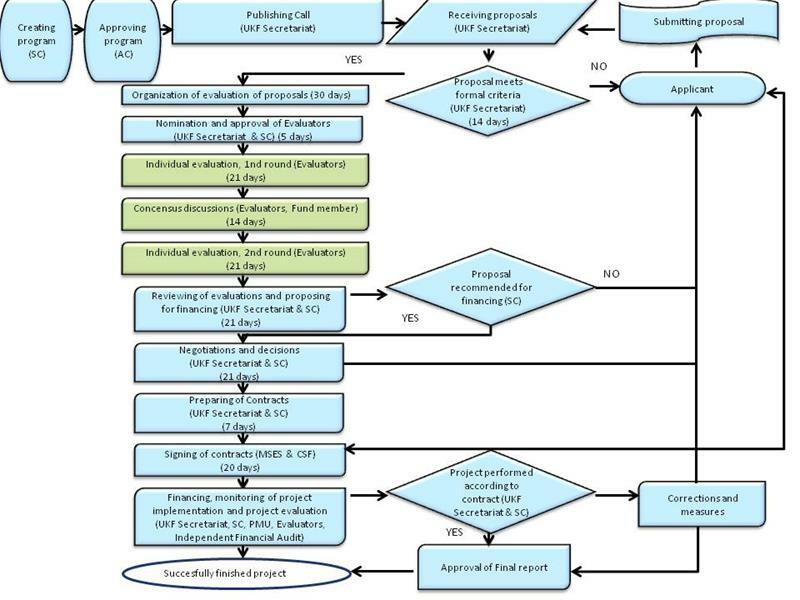 The evaluation procedure should operate in accordance with the Fund’s Principles and it has to be confidential. 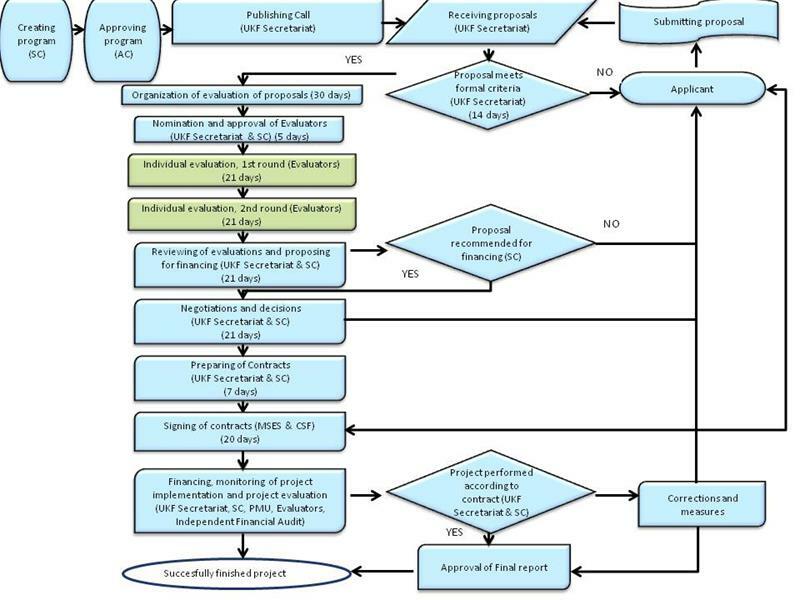 (ii) The evaluation of proposals is carried out in line with the defined procedure which follows the tasks of receiving of proposals, evaluation and selection of proposals by Steering Committee. 4. Nomination and approval of Evaluators (UKF Secretariat and SC, duration: 5 days). SC may not approve an evaluator if conflict of interest occurred. 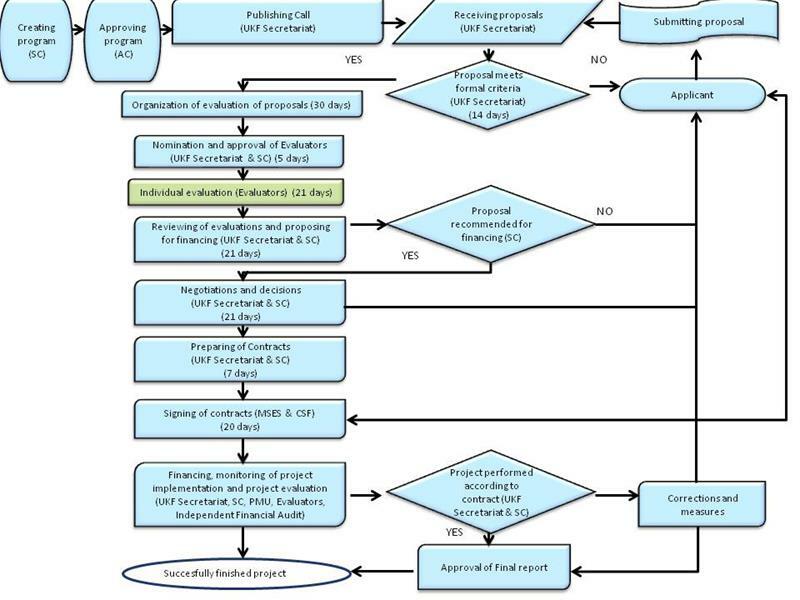 (iv)The entire period for the completion of the evaluation process from the closing of the call to the approval of proposals can last up to six months at the most.